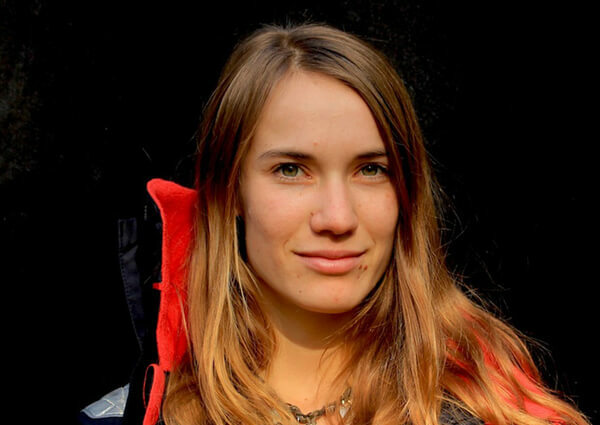 It’s one thing to be a rebellious teen and want to go off on your own, but for Dutch teen Laura Dekker, she may have upped the ante with her request for a solo sailing voyage around the world. 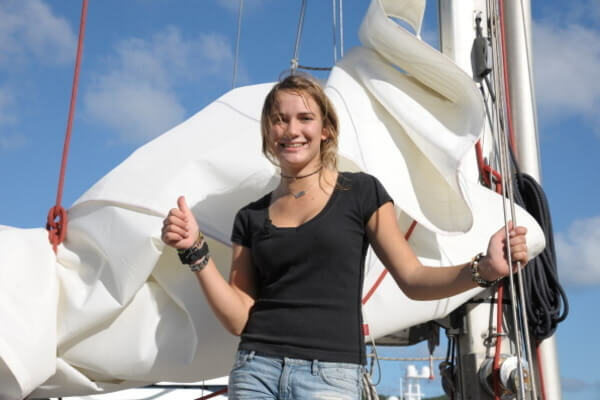 The now 23-year-old Dekker set out to sea when she was just 14-years-old, making headlines and a big splash along the way as she made plans to become the youngest person to sail solo around the world. Though people deemed her too young, Dekker was headstrong on what she wanted and making her sailing dreams a reality. Radiating passion, grit, and a youthful energy, Dekker has become an inspiration for those who maybe want a little more out of life. Social workers argued that Dekker was too young to properly assess the dangers of the voyage and that being alone for the projected two years would hurt her development to relate with peers and adults. 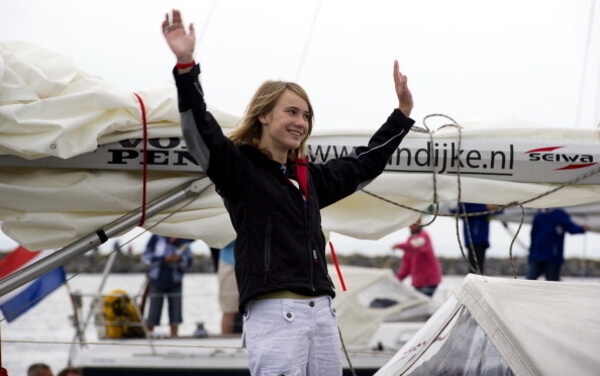 Dekker initially wanted to challenge the record set by British teen Mike Perham, who was celebrated for becoming the youngest person to sail around the world solo at the age of 17. Perham returned to his home of Potters Bar, in the UK after a nine-month, 24,000-mile voyage during which he was entirely alone, except for the occasional stop for repairs. Talk about an introvert’s dream! Dekker wanted her voyage to last more than nine months which authorities feared would be dangerous for someone her age as she had to deal with poor weather conditions and boat failures. But most people didn’t know the depth of Dekker’s experience at sea. Laura comes from a family of life-long sailors. Born in New Zealand while her parents were on a round-the-world sailing trip, Dekker spent the first four years of her life out on the ocean. 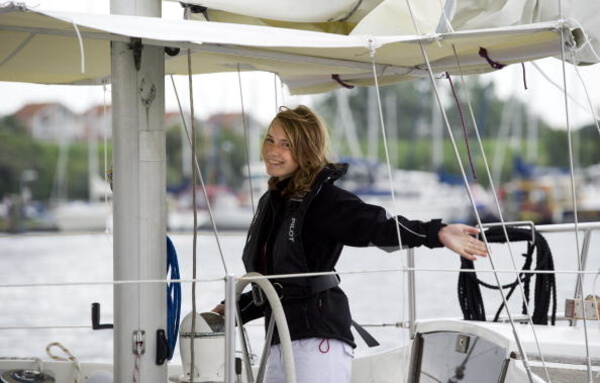 At the age of six, she got her first yacht and has been sailing solo since she was just ten-years-old. “In the beginning, my parents asked if I was sure I really wanted to do it. They have sailed around the world so they know what could happen and that it’s not always fun, but I realize that too. But I really wanted to do it so my parents said, ‘Good, we’ll help you,'” Dekker shared. The dream was alive but it wasn’t THAT easy to obtain! 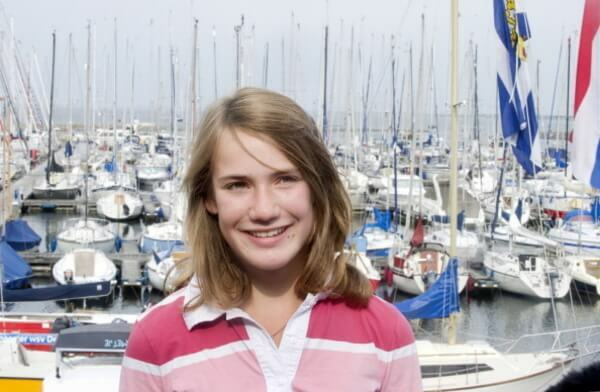 When Dekker was 14-years-old, Dutch courts blocked her attempt to sail around the world, placing her under the guardianship of child protection authorities. Turns out, the courts also blocked her first attempt, showing Dekker that her dream may not come easy, but it was worth fighting for. The court had said that while Dekker’s sailing skills were adequate and a psychological report concluded that the voyage would not harm her social or emotional development, there were questions about safety and her ability to continue her schooling while at sea. Meanwhile, 16-year-old Australian teen, Jessica Watson, sailed out of Sydney harbor at the time of the court’s ruling. Despite the thwarted attempts to hold Dekker back from sailing solo around the world, teenage rebellion kicked in and Dekker took matters into her own hands. After reports of the then 14-year-old Dekker went missing, she was later found just days later on the island of St. Martin in the Dutch Antilles. It was reported that Dekker left a note for her father before disappearing, but its contents were not revealed. Rumors also swirled around saying that Dekker withdrew €3,500 from her bank account days before she disappeared and that she had mentioned to family she was considering setting sail from New Zealand. The Council for Child Protection, the Dutch government’s childcare agency, had asked the court to extend the order for a further year as they still deemed her too young. But the youth protection group asked to assess her welfare disagreed and said she was ready to sail. Finally, it seemed that she would be able to put the legal work behind her and focus on her goal, which was no easy feat itself and required her full attention and dedication. Getting the go-ahead meant time to prep! While all of that may seem incredible to the average teen, Dekker still packed plenty of school books and was noted by saying that she would miss her family and her dog, Spot – proving that she was still a normal girl with a big dream. Her passion for sailing was undeniable, but that didn’t mean that it was her entire life. Dekker was in it for the experience and was planning on returning to her hometown in a year. While some of us are still trying to figure out how to ‘adult’ sometimes while battling the horrors of our own personal finances, Laura Dekker paid for her own sailing journey around the world all by herself. Can you say #Winning? Setting sail in a 38-footer, Dekker single-handedly set off on our own by saving enough money over the years to fund her life’s dream! The money also came in handy for boat repairs, food, water, and other necessities for a trip that extensive. During her trip, Dekker expressed that she may have had some second thoughts. “There were moments where I was like, ‘What the hell am I doing out here?’ but I never wanted to stop,” she told reporters. No Time To Be Squeamish! It’s no secret that spending a long journey away from the comforts of home can be a bit unnerving, but signing up for a long sea voyage doesn’t call for one to be squeamish! During her voyage, Dekker took on high waves and extreme weather, a ripped sail, a jammed storm jib, slept on a damp bed, lived on rice and pasta (with the occasional treat of cookies or pancakes), dodged near-collisions with cargo ships, and worried about pirates. Dekker even rescued live fish that had flung themselves into her cabin while scrubbing the remains of decomposing squid from the deck while ants and cockroaches stowed away in her cabin! What a trooper! With a journey like that, who wouldn’t share it with the world? Being alone for long periods of time may be a bit unpleasant for some despite one’s personality type. 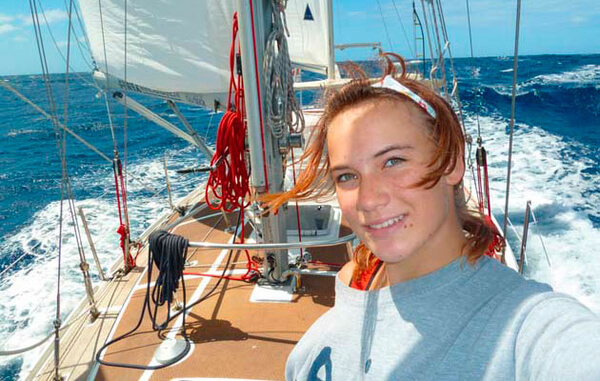 Dekker, like most teens, kept a blog of her sea voyage, to look back on as she grew up. Describing in detail her passion for what she was embarking on, Dekker shared her love for nature and solitude and how her adoration for animals came into play during her exploration. “Sometimes I try to adjust the sails to make us go faster, but mostly I simply enjoy the endless silky blue ocean and the quiet peace that it brings,” she wrote. In an interview years after her journey, Dekker shared that her voyage around the globe really helped her find her voice while figuring out who she was in the process. "It’s definitely changed me a lot as a person. I don’t know where I would be if all that hadn’t happened. The trip itself gave me a view of what the world is like and I think that’s really cool because [it showed me] that no place is perfect and nobody is perfect but every country kind of has its own beautiful things and I love keeping those things in mind." 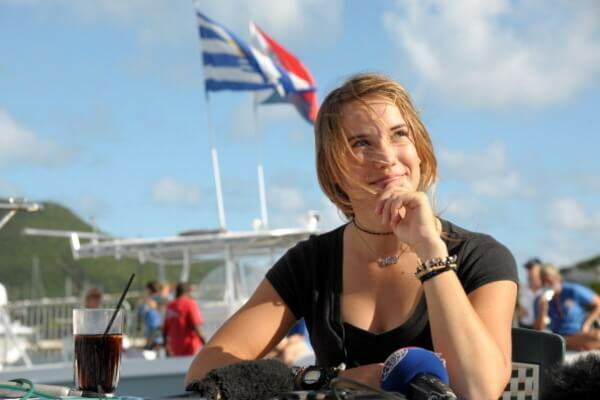 In January 2012, Dekker set foot aboard a dock in St. Maarten, ending her year-long voyage aboard her boat, Guppy. 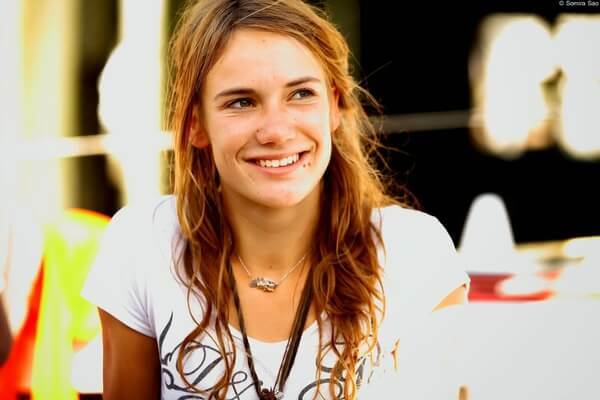 Her voyage fulfilled her dream of becoming the youngest person to complete a solo journey around the world. It took 518 days or 74 weeks or 1 year, 5 months. Dozens of people showed up to welcome Dekker back to land. 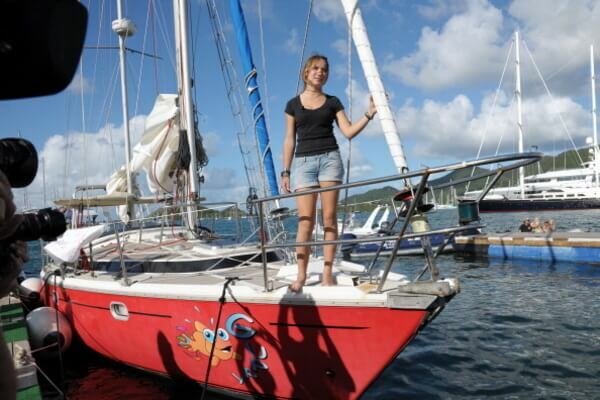 She covered more than 27,000 nautical miles on a trip with stops at ports including the Canary Islands, Panama, the Galapagos Islands, Tonga, Fiji, Bora Bora, Australia, South Africa and finally St Maarten, from where she set out in January 2011. In Dekker’s book, One Girl, One Dream, she shared how her journey taught her a lot about herself at a young age. “This voyage of mine has already taught me so much. When I left the Netherlands I didn’t have a clue what I wanted to do in the future, just like any other teenager, and now I have loads of plans. 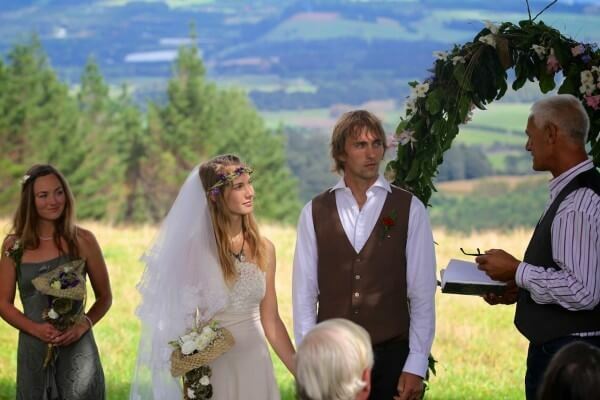 In May 2015, Dekker married Daniel Thielmann, a resident in New Zealand. They even spent their honeymoon aboard Dekker’s beloved boat, Guppy. “Last month I made one of the biggest decisions in my life. Together with lots of friends plus some of Daniel’s family and mine, we celebrated the commitment that Daniel and I made for each other. A commitment of love – on an absolutely stunning day,” she shared. The couple lives on Dekker’s boat in Whangarei’s Quayside Town Basin. 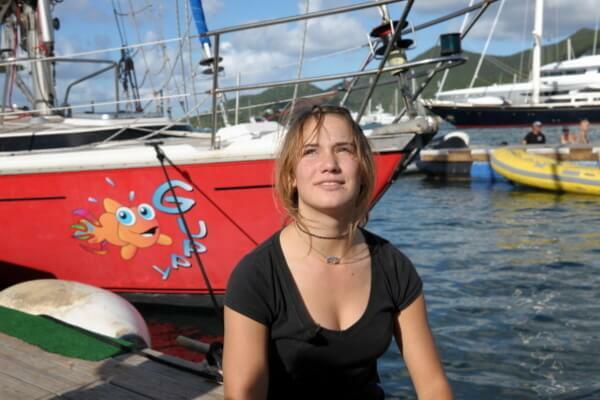 While Laura Dekker may have set sail all by herself for an impressive journey around the world, the entire mission would not have been possible without her boat, Guppy. The boat was there throughout Dekker’s journey and kept her safe for her return home. But all good things must come to an end. 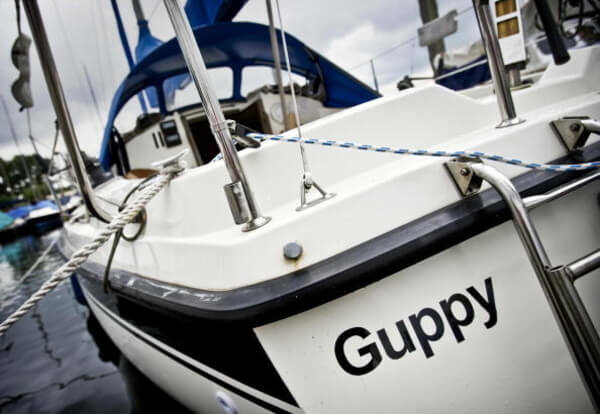 In February 2018, Dekker donated Guppy to LifeSail, a Los Angeles non-profit that uses sailing as a vehicle to teach life lessons to kids. Sadly, that August, Dekker announced that Guppy was wrecked on a reef in the Pacific Ocean during its trip to Los Angeles. 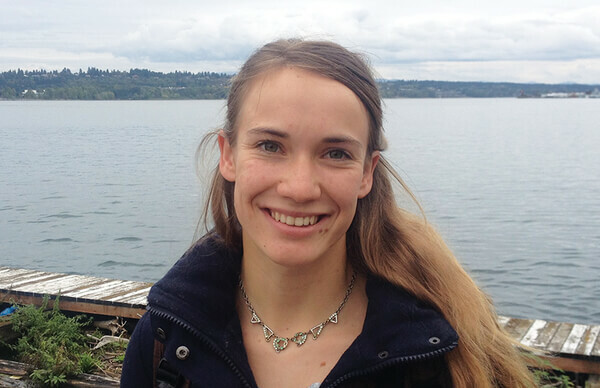 She may have been “disappointed” and angry with the court’s decision to hold off on her solo sea journey around the world when she was a teen, but now Dekker says she understands their position. 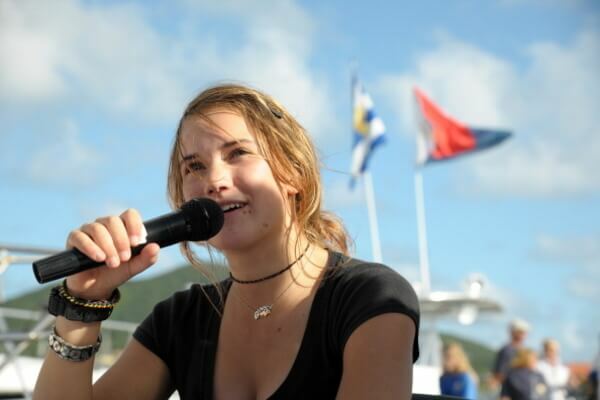 Despite the initial media attention regarding her dream to be the youngest person to sail around the world, Dekker’s journey soon caught on and had everyone excited to learn more about her and her trip. In 2013, Maidentrip – mostly shot by Dekker and directed by Jillian Schlesinger – is an 82-minute documentary about her trip. Many television show opportunities became available for her, helping her spread the word about her accomplishment while inspiring other young future sailors to follow in her footsteps. She also authored a book! In November 2014, Dekker’s book One Girl, One Dream was published – a thrilling autobiographical account of her solo circumnavigation of the Earth. In her first book, Dekker described everything she went through at sea including her long weeks of solitude, the trials of what being alone at sea is like, bouts of doubt, the pressures from society, the courts and the media, and what her journey taught her along the way. Dekker also gave an account of what’s next for her in this exciting must-read for anyone feeling jaded about their life’s path. Dekker shared that the most important thing she learned was to appreciate the little things and to not always want more. “I learned to be happy with what I have. I met people on my journey who had nothing and yet would invite you in to share their dinner. I also didn’t have the normal things people have on my trip – a fridge, a flushing toilet, a hot shower – and because I didn’t have them, I learned to live without them and I was happy.